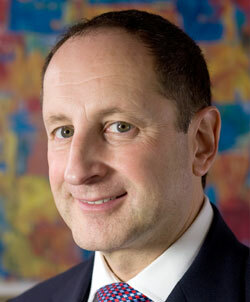 Sergio Karas is a Canadian lawyer and a certified specialist in Canadian citizenship and immigration law. His firm, Karas Immigration Law Professional Corporation which is based in Toronto, Canada, is a multilingual law firm dedicated to assisting corporations to implement successful migration strategies for managerial, executive and technical personnel, and to facilitating the successful settlement of qualified immigrants including, professionals, self-employed, entrepreneurs, and investors. Mr Karas also assists clients with US Consular processing and NAFTA petitions. Mr Karas, who was born in Buenos Aires, Argentina, has been involved with many widely reported, high profile cases. He was a member of the Board of Directors of Jewish Immigrant Aid Services (JIAS) in Toronto for ten years. Mr Karas’s firm is a founding member of Visalaw International. Mr Karas provides current information about Canadian immigration law and policy to the Canadian press and his articles are published in several languages in national and international journals. He makes regular appearances on national and international radio and television programs and frequently speaks at national and international legal conferences. Mr Karas is listed in “Who is Who in Corporate Immigration Law” as a leading immigration lawyer. English, French, Spanish, Italian, German and Portuguese.